This article provides step by step instructions to locate and download products ordered from the Trainz Store at Store.TrainzPortal.com. Log in to http://www.auran.com using the same login as when you ordered the item. *If already logged in, then click on 'MyTrainz' at the top of the page. Click on My Digital Downloads to show a list of your downloads. 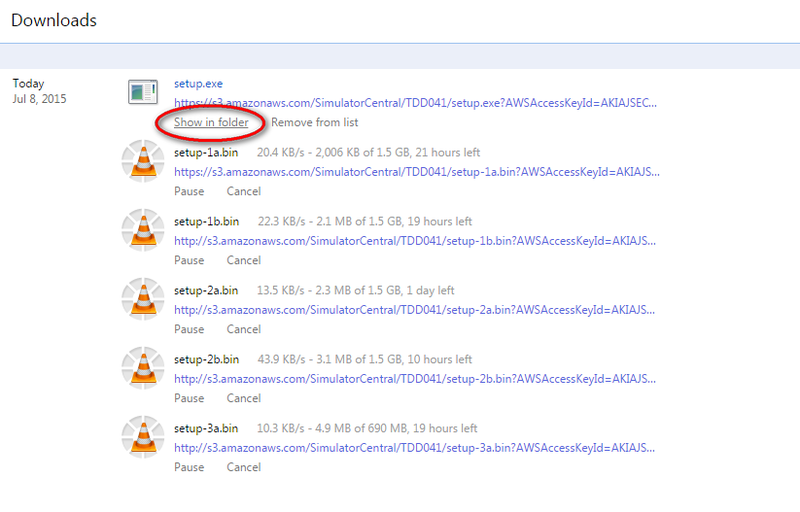 For Trainz Simulator 12 click on EACH of the setup file links to download all 6 files (see image below). Note: For Trainz: A New Era click on 'TANE Download Page', then choose one only of the mirror sites of the offline installer or choose the online installer (recommended). If left-clicking does not commence the download, you can use right-click "Save As" and then choose the location to save the files(s). Once your download commences, you can track progress in your browser. 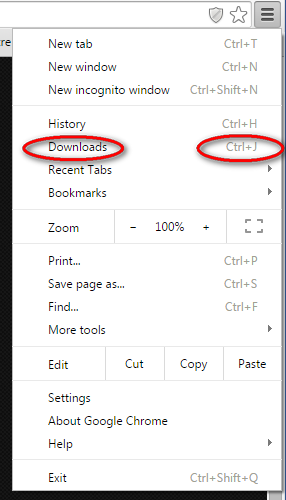 To show your downloads use Ctrl-J (in IE, Chrome or Firefox). You are now ready to install your downloaded item. Sometimes you will need to unzip the file first, and other products are ready to begin installing by double-clicking the setup.exe file. (You can ignore any "publisher verification" warnings). We recommend that you use Google Chrome to download. If you are asked to Insert a Disk, usually means you have not completed downloading all the required files, have unzipped the files into a different location from the setup file or they have been renamed by WIndows when downloading. For example: setup(2)-1a.bin is the incorrect file name. The (2) is added if you redownload the same files multiple times. If you have any problems during this process, please reply to this ticket and include information on which step could not be completed and what error message you are getting. For Trainz 12 SP1 and beyond, DLC items appear in-game for download based upon the username used to log in. 1. Ensure you have the latest public release version installed. 2. Ensure that you're logged in with the same account that you used to purchased the DLC item. 3. If you have a boxed product, ensure the "Disable Online Features" box is unticked. 4. Open the Launch window and click Start Trainz. 5. Navigate to the Routes Menu and wait a minute or so. 6. The "Asset Download" window will appear and list your items available to download. 1. Recheck the Product Page to ensure the DLC item is compatible with your version of Trainz. 3. Check in Content Manager to ensure it isn't already installed.